Near Fredericksburg, Virginia, during the Battle of Chancellorsville. 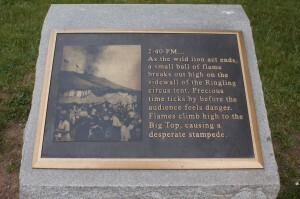 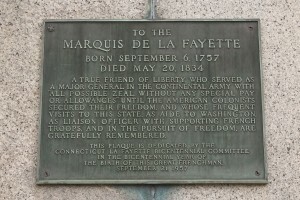 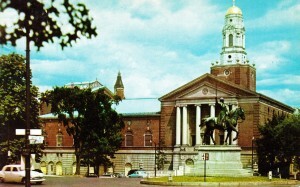 The full image, in a variety of resolutions, can be viewed at the Library of Congress. This undated image detail shows the First Regiment Connecticut Heavy Artillery, at Fort Richardson in Arlington, Virginia. The First Heavy Artillery was formed in the spring of 1861 as the Fourth Volunteer Infantry. 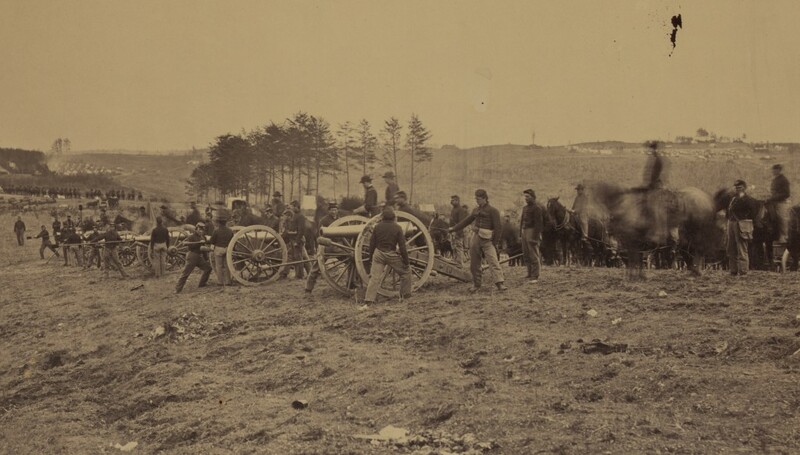 In January, 1862, the regiment was converted into a heavy artillery unit. 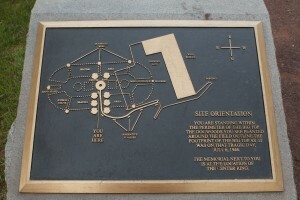 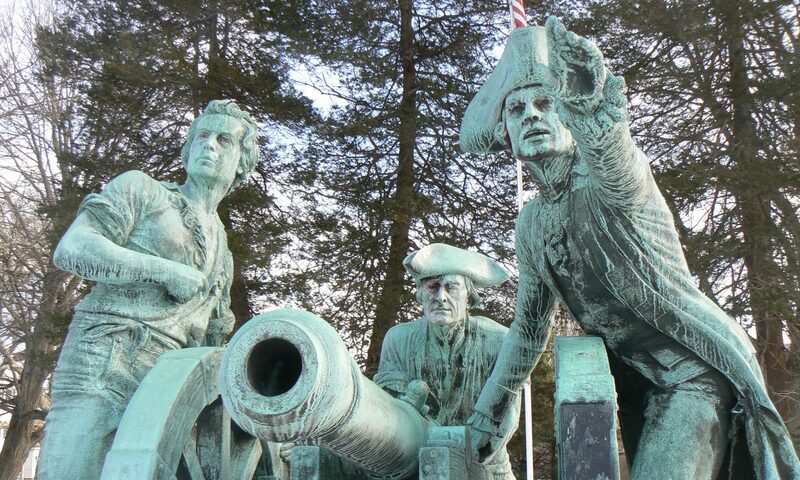 At Fort Richardson, the regiment participated in the defense of Washington, D.C. 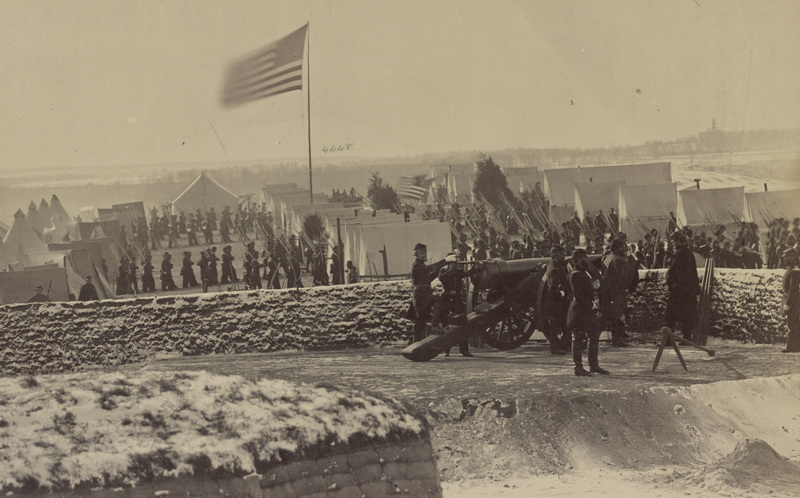 When the Peninsula Campaign began in March of 1862, the First CT was deployed and participated in several engagements. 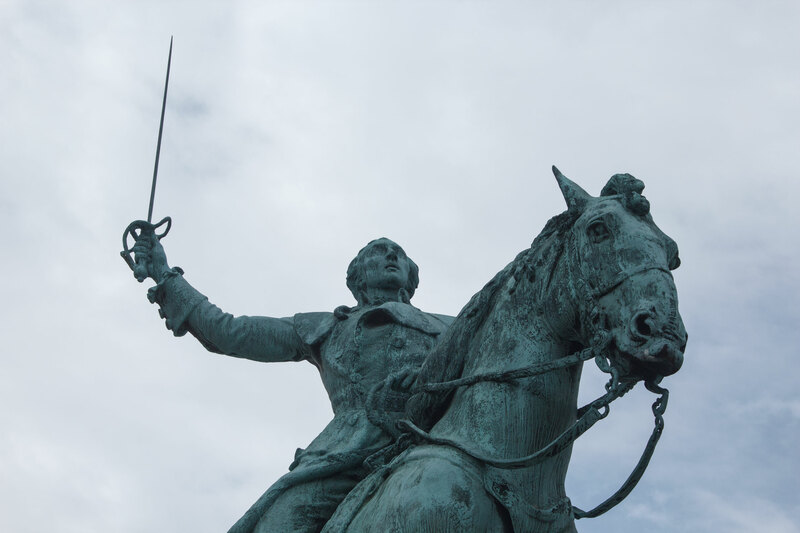 The regiment returned to the defense of Washington and later was involved in fighting near Fort Fisher, N.C., as well as the sieges of Petersburg and Richmond. 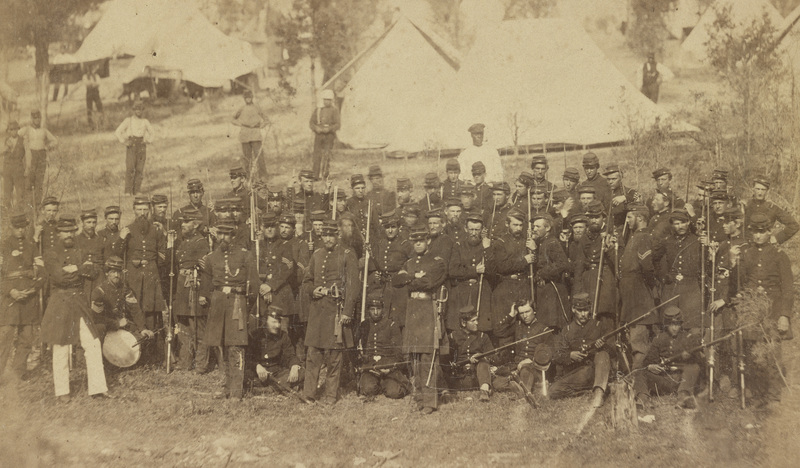 The unit mustered out in September, 1865, after more than four years of service. 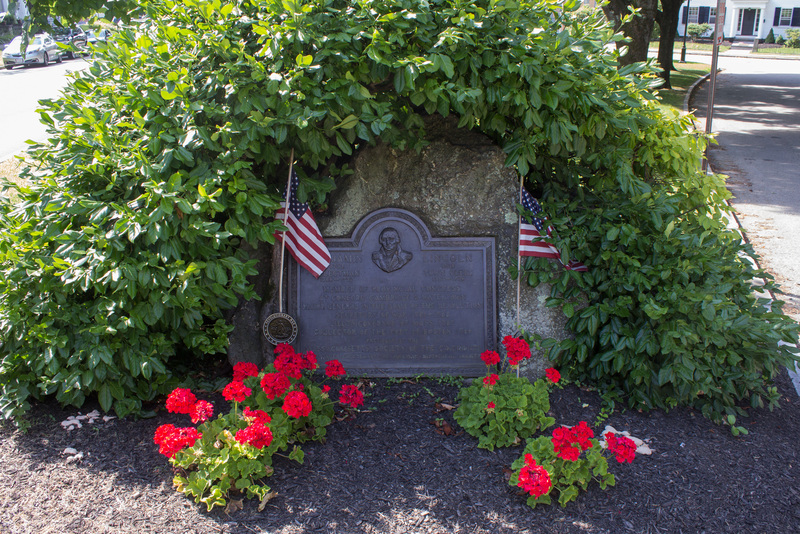 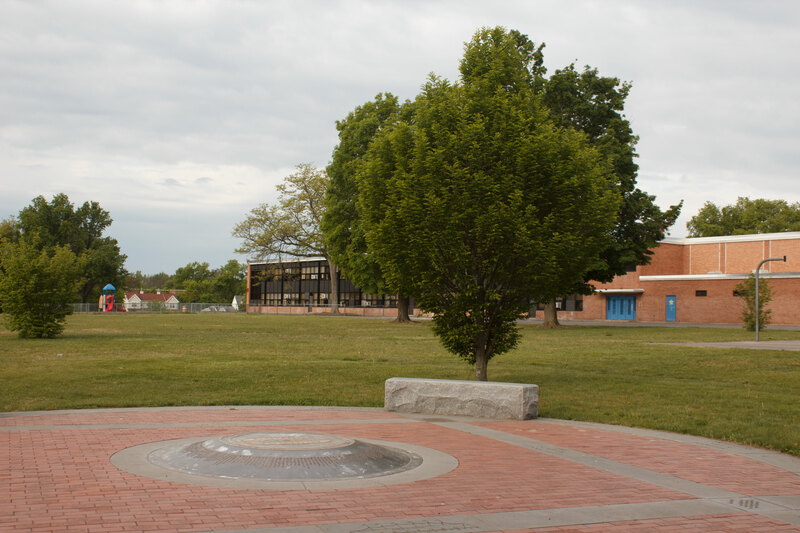 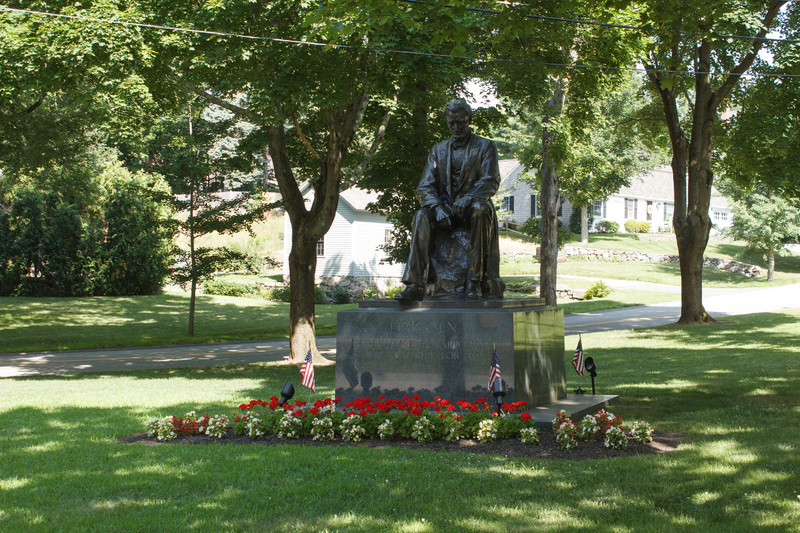 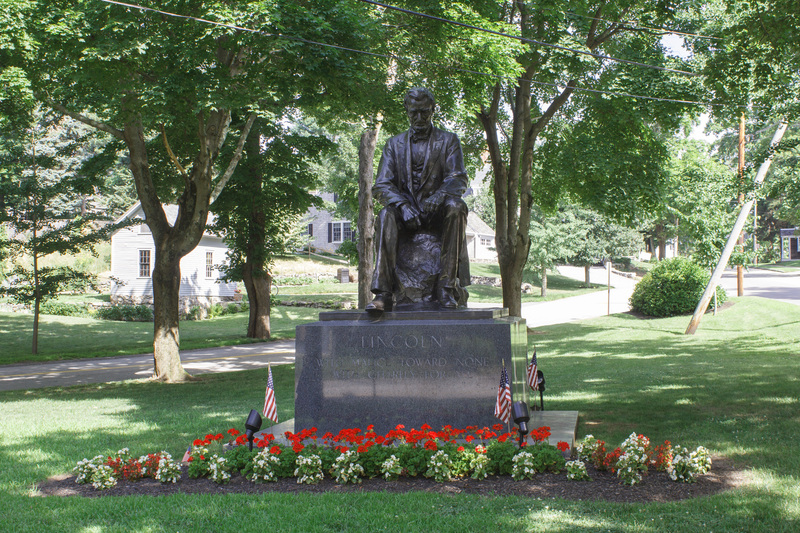 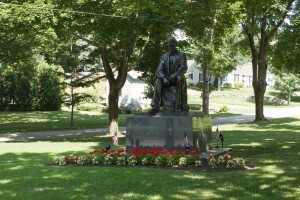 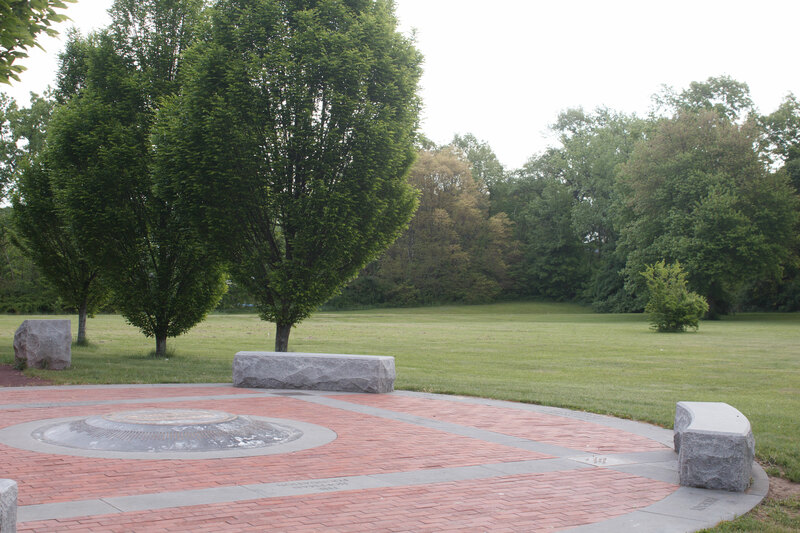 A monument to Abraham Lincoln in Hingham, Mass., honors an ancestral connection between the president and the town. 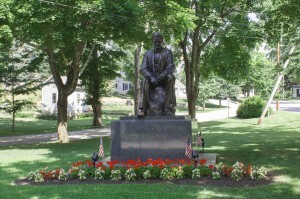 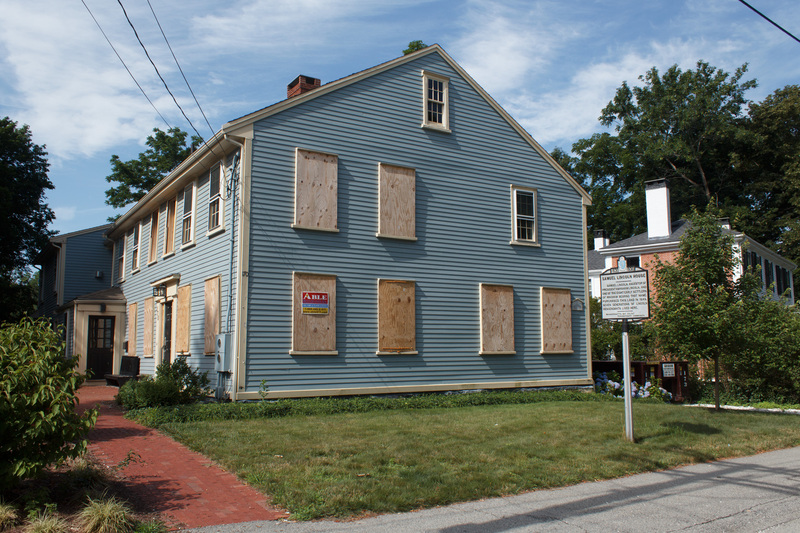 Lincoln’s early relatives, including his great-great-great-great grandfather Samuel, were among the English settlers of Hingham. 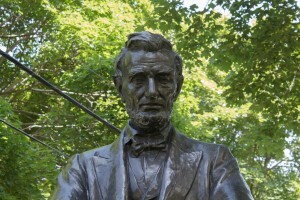 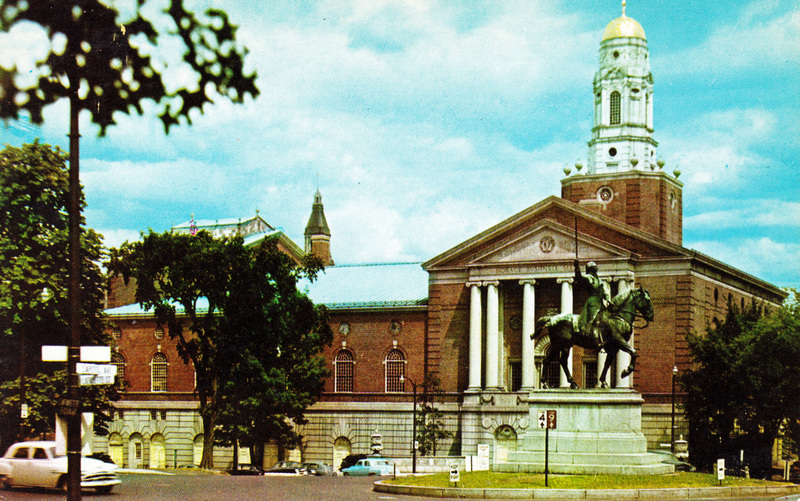 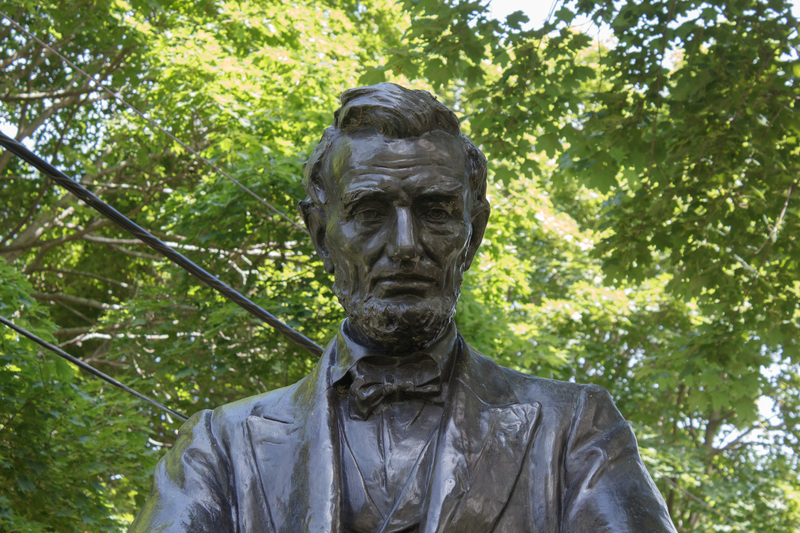 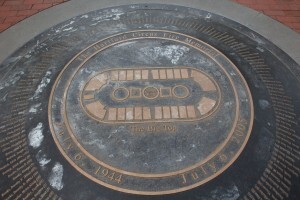 The Lincoln statue, on a green near Samuel Lincoln’s home on Lincoln Street, was dedicated in 1939. 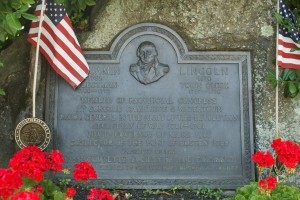 The south face of the monument’s base bears an inscription with the “With malice toward none, with charity for all” excerpt from Lincoln’s second inaugural address in 1865. 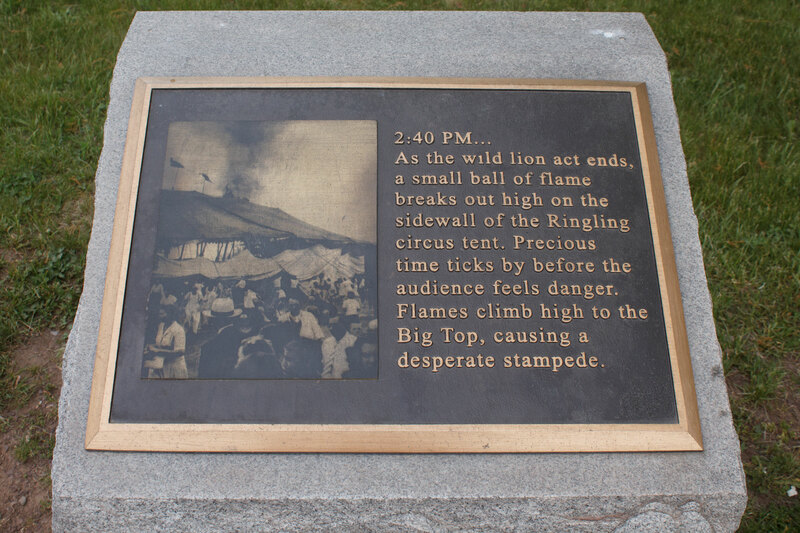 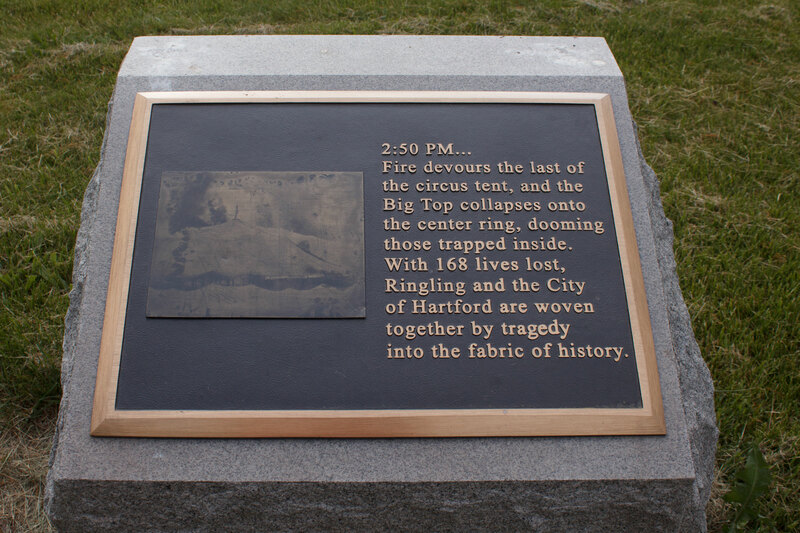 The north face bears a dedication to the family of Everett Whitney, a local lumber dealer who funded with statue with a $30,000 donation (more than $492,000 in today’s dollars) bequest. 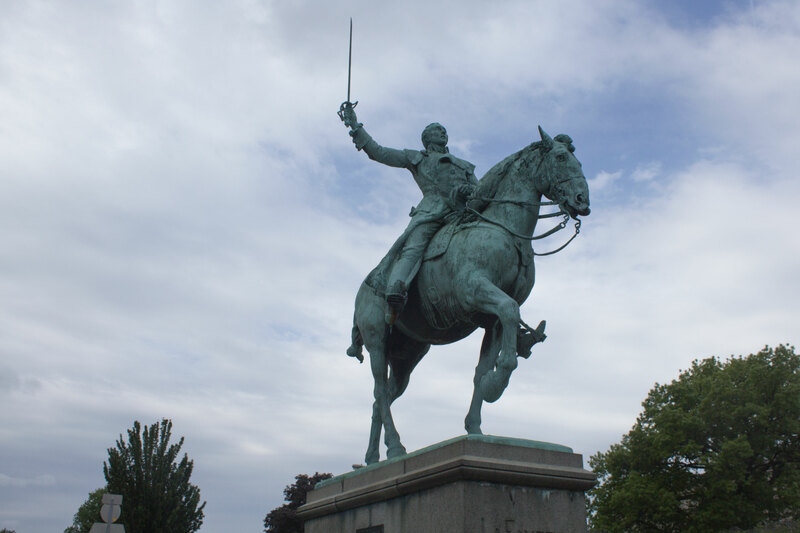 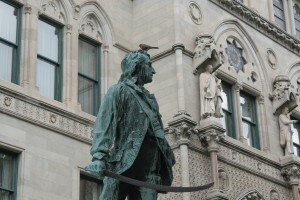 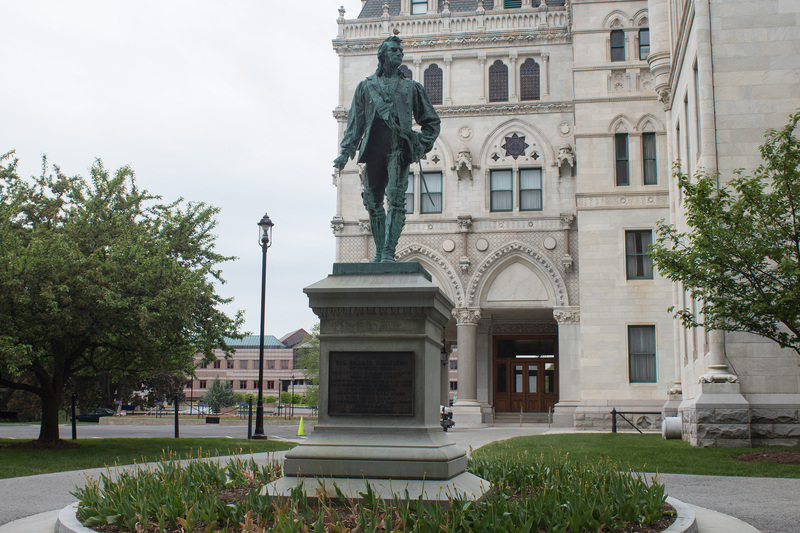 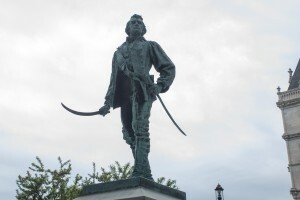 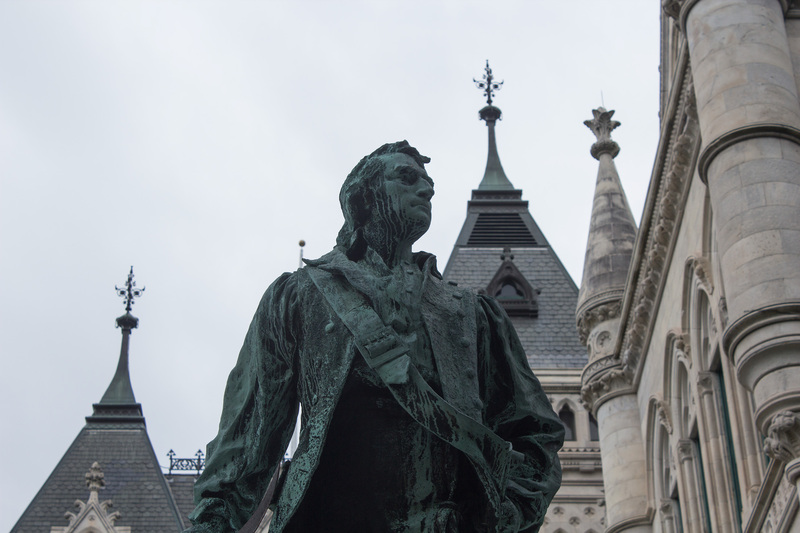 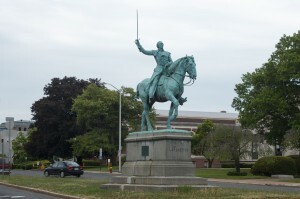 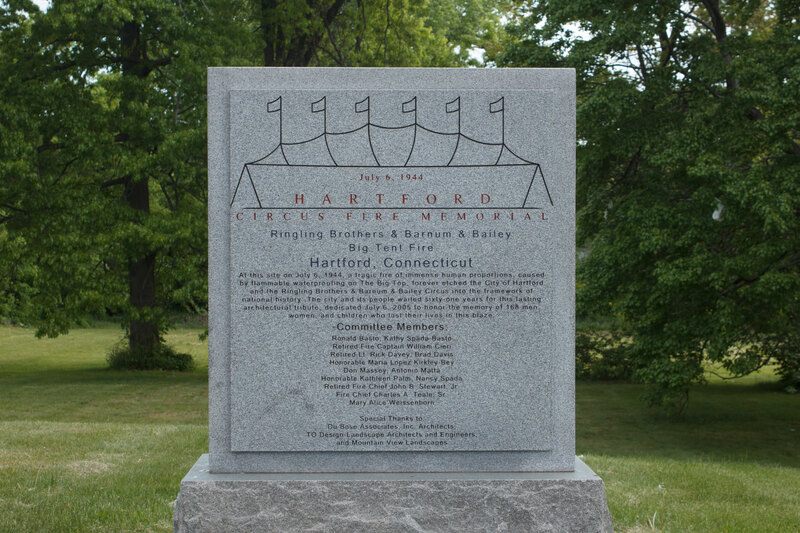 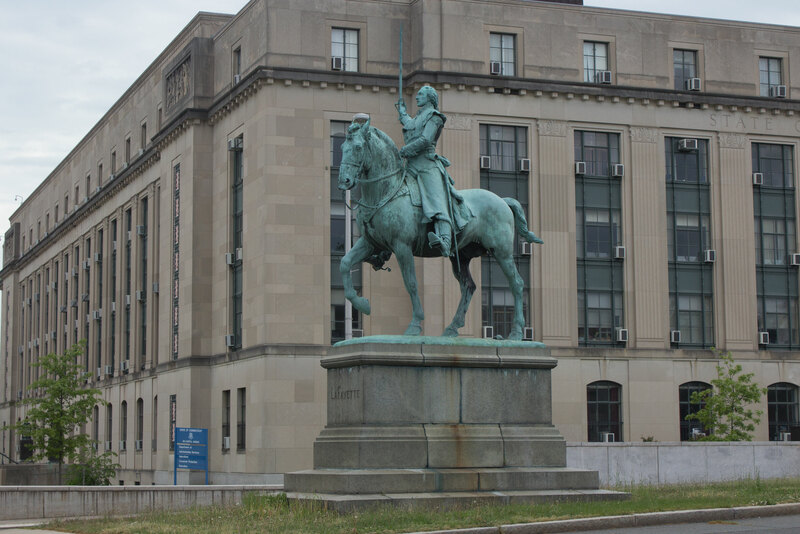 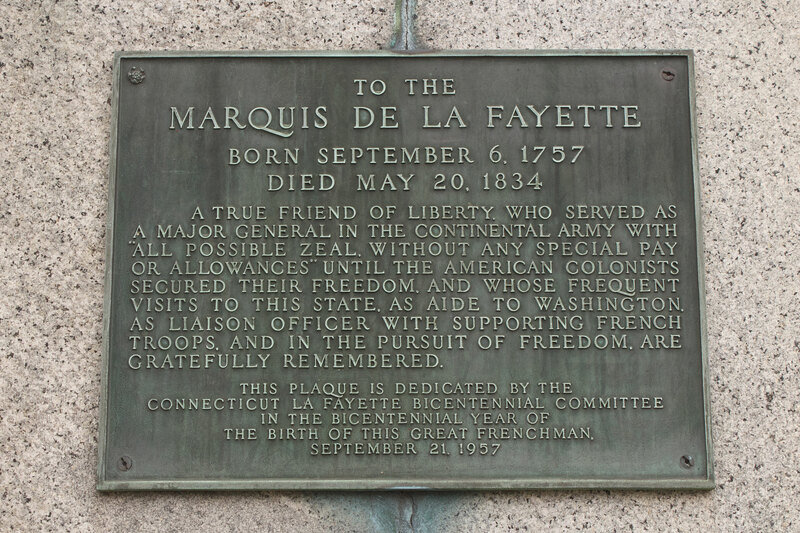 The sculpture was created by Charles Keck, whose other works include a Harry S. Truman bust in the U.S. Capitol, the Father Francis P. Duffy statue in New York’s Time Square, the bronze USS Maine plaque that was mounted in nearly 1,000 locations and numerous other works. 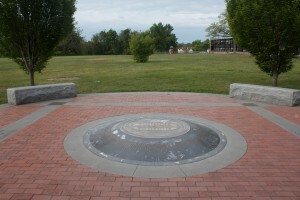 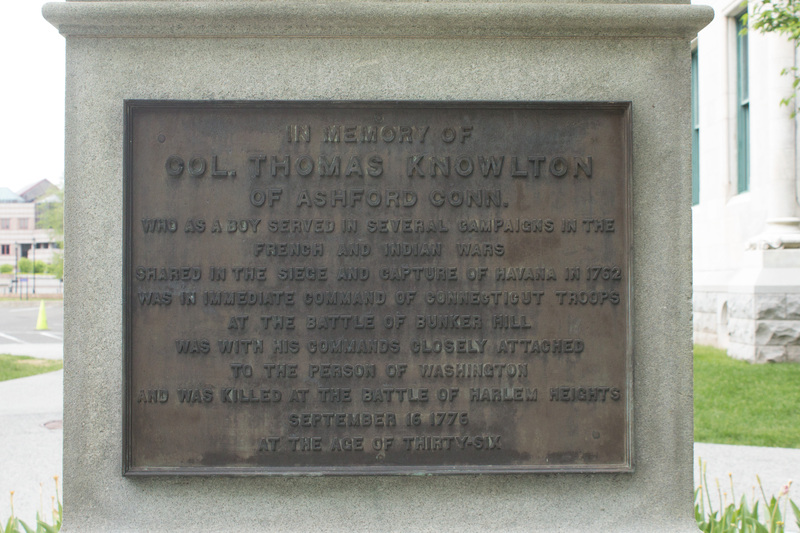 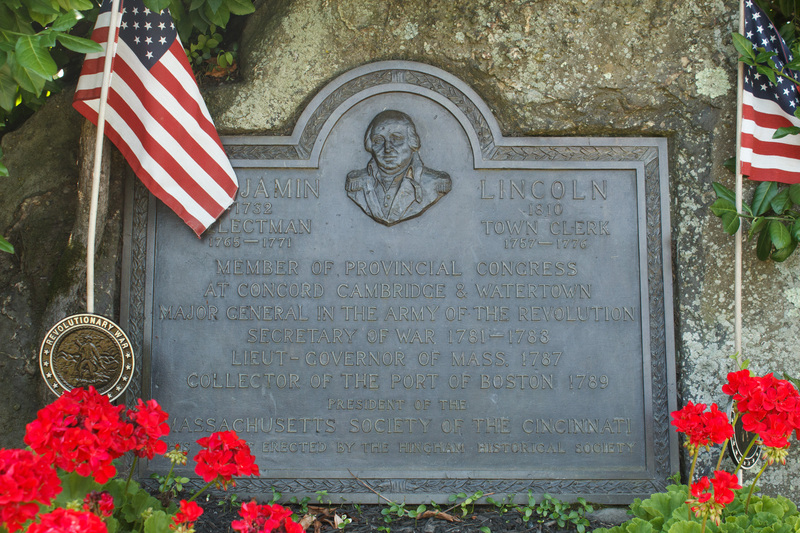 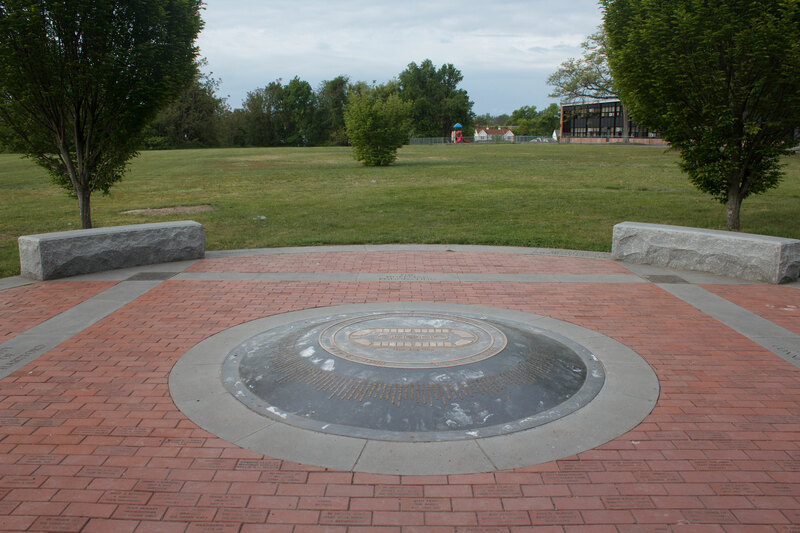 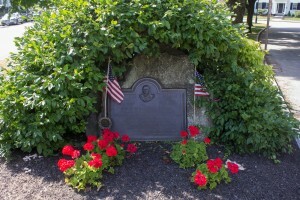 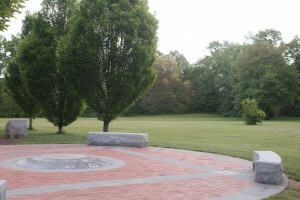 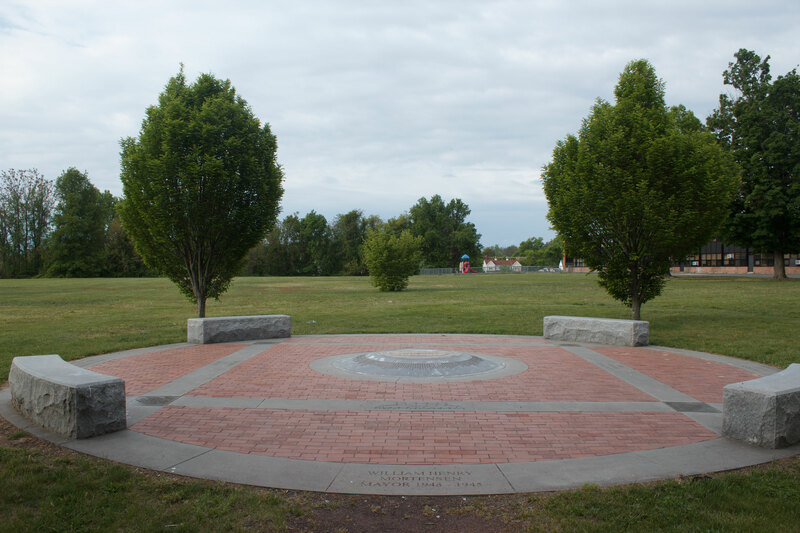 A memorial near the north end of the green honors Benjamin Lincoln, another descendent of Hingham’s settlers. 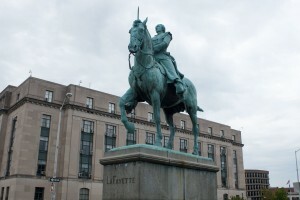 Benjamin Lincoln served as a major general during the American Revolution, and accepted the British surrender at Yorktown. 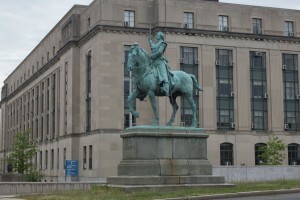 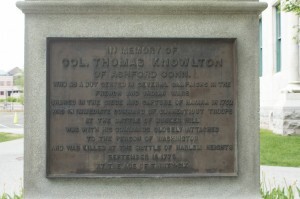 He also served as the first secretary of war of the United States.